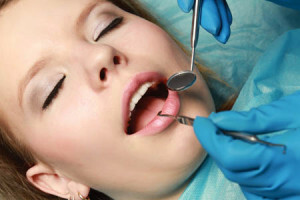 Our office offers our patients the option of a deeper form sedation for their dental treatment. This is what sets our office apart from other dental practices, and we find that it helps to alleviate any anxiety or fear that many patients have experienced in other practices. Patients may choose from a level of comfortable, relaxed sedation to a deep sleep through their dental treatment. If you suffer from dental phobia- fear no more! At Divine Dental, we are committed to understanding the very real nature of your fears. Not only will our team treat you with delicacy and care, but a a deeper level of anesthesia will allow you experience dentistry in a whole new way. While engaging in a pleasant sleep-like experience, the doctors at Divine Dental will be hard at work making sure you "wake up" with the results you desire.